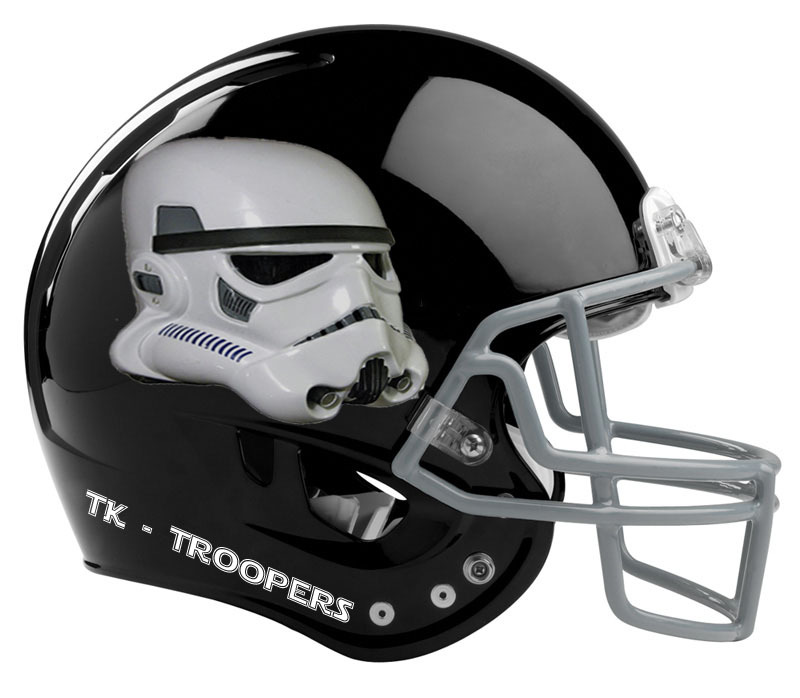 It’s Squad Seven 501st Fantasy Football time. Are you ready for some Fantasy Football well so were some of the Squad 7 members, Some of the Squad7 members have started a Squad 7 Fantasy Football League this year. There are 8 team set to what seem an easy style of play format as most of us have no real idea how to do this. This is yet another way for our members to get together and get to know each other outside of trooping. Draft Day, So we met today with our players scratched on paper and gathered up the list of players and positions and began our picks. It was an interesting mix of people and their knowledge of the players and some who like me have limited knowledge, picking and chatting our way through all our picks. we par-took in a lunch meal and marked off the taken players and plotter or guessed our why through our sixteen players for our roster. I think most of us got a lot of what we wanted and some of us (BJ) kind of threw darts for their picks, so he will most likely win the whole dang thing. So if you want to keep an eye on our progress just bookmark the follow link -> Squad7 FFL and you can keep up and watch all the excitement as the 2013 Squad 7 Season teams competes from week to week.